Girls will be your friends – they’ll act like it anyway. But just remember, some come, some go. The ones that stay with you through everything – they’re your true best friends. We all love our friends. For better or for worse, they’re the people we can count on to share laughs, problems, experiences and memories. You can find a friend in anyone, from your sister, to a college, to a complete stranger. Some friends we meet as children, we learn and grow alongside them; others we connect with immediately, and they brighten our lives with their sense of humour and kindness. The one thing they have in common, is they all bring joy, happiness and love into our world. In the craziness of our lives, it’s easy to lose track of what’s important. When times get hard, we learn who our true friends are. The ones we rely on, the ones we go to for help. No matter how crazy their advice gets, or the trouble they get into themselves, you know that they care. Our friends bring us courage to face our problems, and for that we feel nothing but gratitude. Why not show your friends how much they mean to you? Friendship bracelets have been a fashionable, yet meaningful way of showing appreciation for your best friends since childhood. Synergy believes in the importance of friendship, so we’ve taken this idea and intergrated it into adulthood. Everyone’s been loving this concept, spreading the love to friends across the globe! By wearing a friendship bracelet, you’re showing the rest of the world how much your friends mean to you. It’s important to remember to show our friends how special they are: giving them their own friendship bracelet acts as a constant reminder of your love and affection. Our Sister Bracelet collection features gold, silver, and rose gold jewellery, each with a special affirmation engraved to make it a personal gift. Our Gold Bracelet is engraved ‘Belief’. This is the perfect gift for the friend who teaches you to chase your dreams, and to never give up, even in the hardest of times. Our Silver Bracelet is engraved ‘Love’. This is a wonderful gift for the friend who’s seen you at your worst, and picked you up from your lowest. They’re the friend who always has a kind word to say, and makes you feel as important as you are. 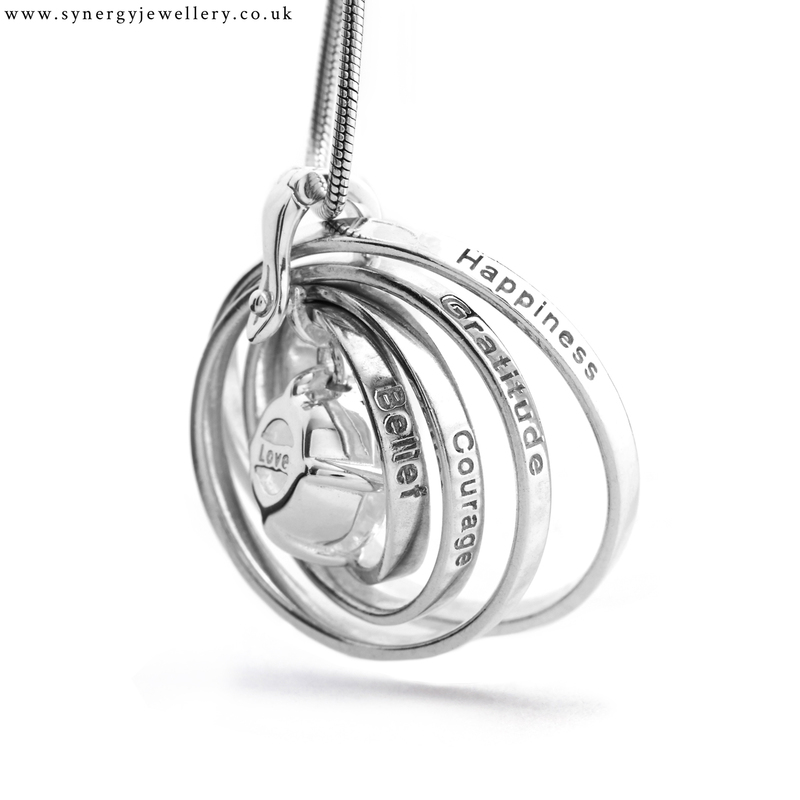 Our Rose Gold Bracelet is engraved ‘Happiness’. This is a beautiful gift for the friend who’s always up for a laugh, the one who knows how to appreciate the positive things in life. This person makes you feel happy in everything you do. Go and show your friends how much they mean to you!